I’m not a fan of Liverpool FC – this is obvious from this blog. I do not believe they have some divine right to success, or to be better thought of than other clubs. And today’s result, which I forebear from mentioning here, was disappointing – to say the least. However, you would have to be a total cynic not to feel a little moved by the sight of the Kop End while ‘You’ll Never Walk Alone’ is playing. I am glad I was able today to pay a visit to one of the truly legendary venues of world football, still here, not yet torn down to be replaced by some identikit stadium on an out-of-town site, better for the moneygrabbers who now determine the course of the sport, but with no history, no soul. 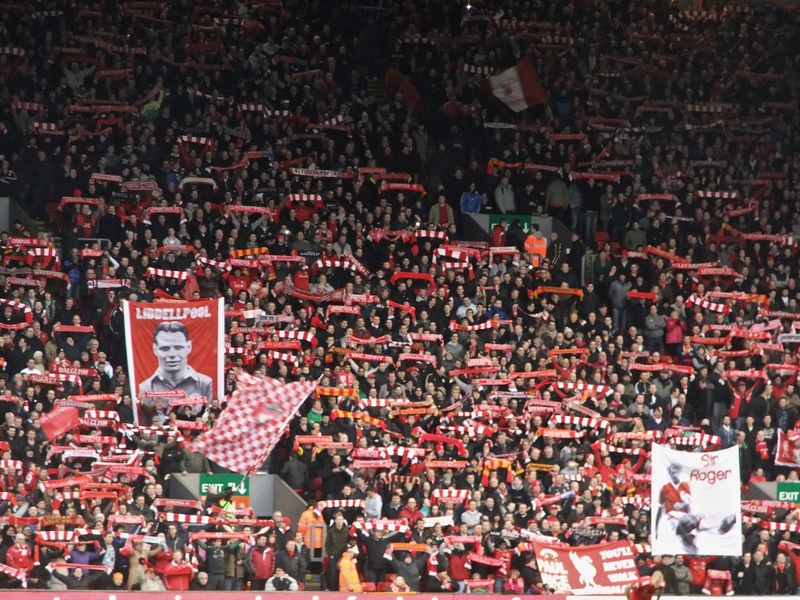 Anfield might be cramped, and rather old-fashioned these days, but it definitely has soul. There is no denying it.